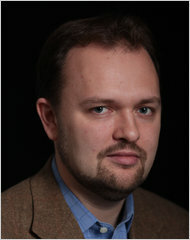 Douthat: "From the nightly news shows to print and online media, the coverage's tone alternated between wonder and outrage - wonder that anyone could possibly find Planned Parenthood even remotely controversial and outrage that the Komen foundation had 'politicized' the cause of women's health....Conservative complaints about media bias are sometimes overdrawn. But on the abortion issue, the press's prejudices are often absolute, its biases blatant and its blinders impenetrable. In many newsrooms and television studios across the country, Planned Parenthood is regarded as the equivalent of, well, the Komen foundation: an apolitical, high-minded and humanitarian institution whose work no rational person - and certainly no self-respecting woman - could possibly question or oppose." In the most recent Gallup poll on abortion, as many Americans described themselves as pro-life as called themselves pro-choice. A combined 58 percent of Americans stated that abortion should either be 'illegal in all circumstances' or 'legal in only a few circumstances.' These results do not vary appreciably by gender: in the first Gallup poll to show a slight pro-life majority, conducted in May 2009, half of American women described themselves as pro-life. But if you've followed the media frenzy surrounding the Susan G. Komen for the Cure foundation's decision - which it backpedaled from, with an apology, after a wave of frankly brutal coverage - to discontinue about $700,000 in funding for Planned Parenthood, you would think all these millions of anti-abortion Americans simply do not exist. From the nightly news shows to print and online media, the coverage's tone alternated between wonder and outrage - wonder that anyone could possibly find Planned Parenthood even remotely controversial and outrage that the Komen foundation had 'politicized' the cause of women's health. 'That ubiquitous pink ribbon ... is sporting a black eye today,' Claire Shipman announced on ABC News Thursday, while Diane Sawyer nodded along. On MSNBC, Andrea Mitchell dressed down the Komen foundation's founder, Nancy Brinker: 'I have to tell you,' Mitchell said, 'this is shocking to a lot of your longtime supporters. ... How could this have taken place?' In story after story, journalists explicitly passed judgment on Komen for creating a controversy where none need ever have existed. Conservative complaints about media bias are sometimes overdrawn. But on the abortion issue, the press's prejudices are often absolute, its biases blatant and its blinders impenetrable. In many newsrooms and television studios across the country, Planned Parenthood is regarded as the equivalent of, well, the Komen foundation: an apolitical, high-minded and humanitarian institution whose work no rational person - and certainly no self-respecting woman - could possibly question or oppose. When the Susan G. Komen Foundation, the U.S.'s largest breast cancer charity, announced on February 1 that it would no longer be donating to Planned Parenthood, the Big Three networks - ABC, CBS, NBC - rushed to the defense of the left-wing organization, which is the largest abortion conglomerate in the United States. Over the course of about 60 hours, ABC, CBS, and NBC emphasized the controversy with a whopping 13 morning and evening news stories. The soundbite count was loaded: 76 percent of the quotes came from supporters of Planned Parenthood (35 in total). Only 11 clips or statements came from Komen representatives or new allies. Three truths, in particular, should be obvious to everyone reporting on the Komen-Planned Parenthood controversy. First, that the fight against breast cancer is unifying and completely uncontroversial, while the provision of abortion may be the most polarizing issue in the United States today. Second, that it's no more 'political' to disassociate oneself from the nation's largest abortion provider than it is to associate with it in the first place. Third, that for every American who greeted Komen's shift with 'anger and outrage' (as Andrea Mitchell put it), there was probably an American who was relieved and gratified. Indeed, that sense of relief was quantifiable: the day after the controversy broke, Komen reported that its daily donations had risen dramatically. But of course, you wouldn't know that from most of the media coverage. After all, the people making those donations don't exist.